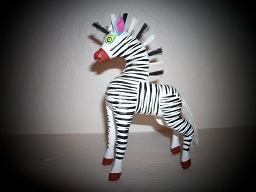 It is possible to recover from the clinical entity called Ehlers-Danlos Syndrome Type 3, or HEDS. I've done it, my son's done it. There's no reason others can't, too. HEDS is becoming a matter of choice: masking symptoms with drugs and allowing the underlying disease process to continue on and progressively worsen -vs- identifying and addressing underlying cause at the source, thereby halting the causative disease process and fostering recovery. _ This website and its content is copyright of Deborah A McQueen - © 2011. All rights reserved. You may not, except with our express written permission, distribute or commercially exploit the content. Nor may you post it to a group board or transmit it or store it in any other website or other form of electronic retrieval system. Thank you for your cooperation! My research pertains to a subset of HEDS characterized by onset at birth, family history of neural tube defects, gastrointestinal disease, atopy, dental issues, Systematic Mastocytosis, bleeding disorders, skin/tissue fragility, keloid scarring, velvety soft skin and hypertonicity/spasticity in addition to meeting the Beighton Criteria. 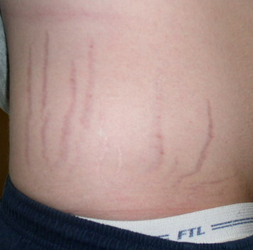 Ehlers-Danlos Syndrome (EDS) hypermobility type (HED), also known as type lll, is thought to be a hereditary connective tissue disorder that is characterized by joint laxity, velvety soft skin and easy bruising. Other organ system involvement is common and includes musculoskeletal, digestive, cardiovascular, nervous and the immune system. Joint subluxations and dislocations are hallmark of the condition. Chronic pain and disability can be severe. Currently, there is no treatment available aside from pain management and other supportive therapies. One of the more common heritable disorders of connective tissue, HEDS is nonetheless poorly understood. Except for a small subset with Haploinsufficiency of Tenascin X Deficiency, the etiology is currently unknown. To this end, diagnosis is strictly clinical. EDS patients have a significantly higher incidence of allergies and gastrointestinal problems, compared to the general population. Multiple studies have correlated eosinophillic gastrointestinal disorders…with classic mast cell tissue degranulation, producing gastrointestinal disorders similar to those seen in [EDS] patients. Understanding the mechanisms associated with food allergies in patients with EDS may aid in development of effective treatments. (1) Other environmental sensitivities, as well as food and drug intolerance, are common in HEDS patients. Mast cells are part of connective tissue. They can be found in the skin, the linings of the stomach and intestine, and in other organs. Mastocytosis results from proliferation of these cells. Mast cell activation disease (MCAD), a more common but less recognized group of disorders, is characterized by accumulation of genetically altered mast cells and/or aberrant release of these cells' mediators. 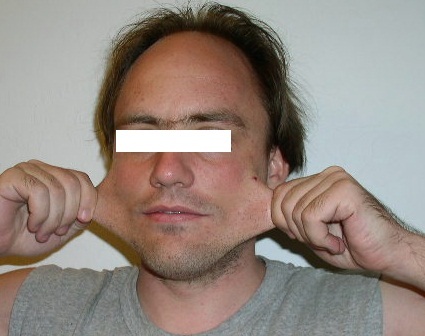 The symptoms of mastocyotosis and MCAD, or “masto” collectively, are similar and include fatigue, skin lesions/hives, flushing, bone and muscle pain, nausea, vomiting, bloating, malabsorption, food and drug intolerance and other environmental sensitivities, infections, ear/nose/throat inflammation, anaphylaxis, chronic sinus infections, episodes of low blood pressure and faintness, tachycardia, headache, memory impairment and brain fog. HEDS patients complain of many of these same symptoms and some, like me, have been diagnosed with mast cell disease. Dysautonomia is associated with EDS and mast cell disease, as well as a number of other medical conditions. The term dysautonomia refers to any disease or malfunction of the autonomic nervous system. This includes postural orthostatic tachycardia syndrome (POTS), inappropriate sinus tachycardia, vasovagal syncope, mitral valve prolapse dysautonomia, pure autonomic failure, neurocardiogenic syncope, and neurally mediated hypotension static intolerance, thermoregulation disturbances and sleep disorders are some of the more common symptoms of autonomic dysfunction in HEDS and masto patients. In HEDS, one known cause of dysautonomia is increased venous pooling derived from collagen weakness of the venous wall. As with HEDS and Masto, dysautonomia and its causes are not fully understood. My name is Debbie McQueen. I am a mother of two grown children, and have spent most of my adult life trying to get us accurately diagnosed and our medical needs accommodated. In addition to the aforementioned conditions, I also have systemic inflammatory disease/Th1 immune response, Stiff Person Syndrome, metabolic myopathy, mitochondrial proliferation (elevated citrate synthase), Aldolase B Deficiency (aka Hereditary Fructose Intolerance or “HFI”), Fructose 1-6 Diphosphatase Deficiency, Methylenetetrahydrofolate Reductase (MTHFR) deficiency, Tetrahydrobiopterin Deficiency and Trigeminal Neuralgia, not to mention Multiple Chemical Sensitivity, Chronic Fatigue Syndrome and other “catch-all” syndromes. All of the enzyme deficiencies were self-diagnosed , then confirmed via biochemical testing prescribed by physicians. I believe the majority of these deficiencies were acquired as opposed to inborn, and are complications arising from insufficient treatment of the root cause, an inborn metabolic defect. My family medical history includes spina bifida, cleft palate, polydactyly, ptosis, pre-term rupture of fetal membrane, gastroesphageal reflux disease, prolapsed mitro valve, colon cancer, prostate cancer, autism spectrum disorder, seizures, early onset dementia, schizophrenia/psychosis NOS which was eventually correctly diagnosed as Autoimmune Encephalitis, other auto-immune disease, sleep disorders and blood disorders. I believe it is all related, and after years of research, testing and do-or-die self-experimentation, I have found the common thread: Methylenetetrahydrofolate Reductase polymorphism and deficiency. Located on Chromosome 1, the MTHFR gene provides instruction for making an enzyme that goes by the same name. 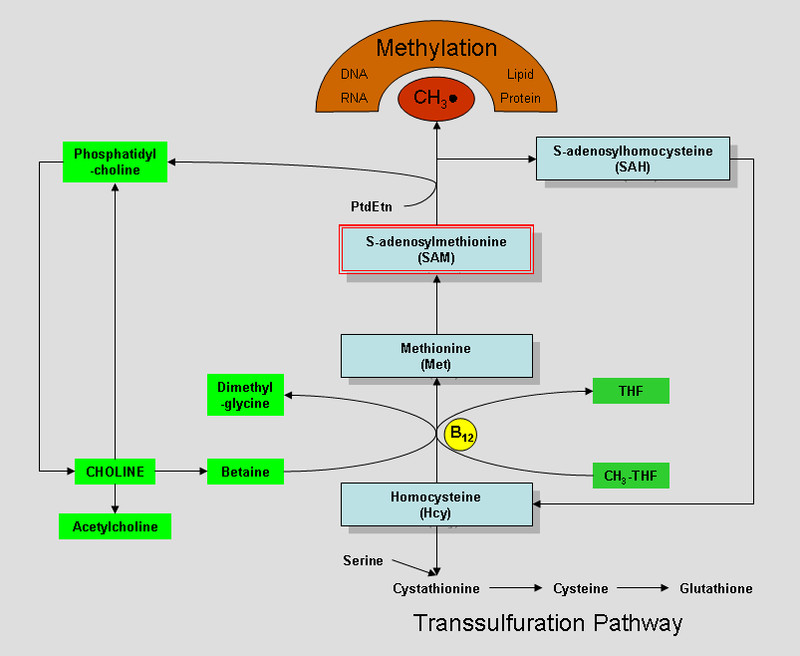 The MTHFR enzyme plays a key role in folate and homocysteine metabolism by catalyzing the conversion of 5,10-methylenetetrahydrofolate to 5-methyltetrahydrofolate (5-MTHF), the primary circulatory form of folate which is utilized in homocysteine remethylation to methionine. The body needs methionine to make proteins and other important compounds. Methionine is an intermediate in the biosynthesis of cysteine, carnitine, taurine, lecithin, phosphatidylcholine, and other phospholipids. Improper conversion of methionine can lead to atherosclerosis, fatty liver and is associated with insulin resistance. Other diseases and disorders linked to Chromosome 1 include breast cancer, Collagenopathies, type ll and Xl, Ehlers-Danlos syndrome, Factor V Leiden thrombophilia, Galactosemia , Gaucher disease, Glaucoma, Hemochromatosis , homocystinuria, Parkinson disease, porphyria and Stickler syndrome. My family and I have had testing done to rule out some of these disorders. Depending on the source used, there are currently 40 - 50 known MTHFR variants; the two most common are C677T and A1298C. The numbers refer to their location on the MTHFR gene, and the letters refer to the nucleotides: adenine, cytosine, thymine and guanine. Nucleotides are molecules that, when joined together, make up the structural units of Ribonucleic acid, or RNA, and Deoxyribonucleic acid, or DNA. Homozygous mutations are ones where both copies of the genes are affected ( +/+). In heterozygous mutations, only one copy of the gene is affected (+/). All of us have two copies of each gene, one from each parent. Called Single Nucleotide Polymorphisms (SNP), these mutations are permanent changes to the DNA sequences that make up the MTHFR gene. The MTHFR C677T variant helps to convert homocysteine to methionine in the methylation pathway. It reduces the enzyme’s activity which elevates the homocysteine blood level slightly, significantly increasing the requirement for folate . This enzyme pathway has global effects for immune function, muscle metabolism, neurochemical production and regulation, and detoxification. The MTHFR A1298C variation helps to convert dihydrobiopterin (BH2) to tetrahydrobiopterin (BH4) for serotonin and dopamine production. (5) BH4 is a naturally occurring molecule that functions as a cofactor for the enzymes responsible for biosynthesis of monoamine neurotransmitters (epinephrine, norepinephrine, DOPA, serotonin), and as a cofactor in nitric oxide production. It is used in metabolic and biochemical reactions such as DNA synthesis and repair, protein synthesis, prostaglandin synthesis, amino acid transport, and enzyme activation. 5-MTHF, the active form of folate, is essential for all methylation reactions. Deficiency of 5-MTHF is more or less inherent to MTHFR Polymorphism. Because SNPs are permanent, folate deficiency in affected persons will persist without the needed supplementation of 5-MTHF or other activated forms of folate. - Possible methylation impairment, including disrupted neurotransmitter metabolism and synthesis of DNA. - Low levels of vitamins B2, B6, B12, and/or folate often determines the risk of these associated disorders. · Moderately increased risk of bipolar disorder, schizophrenia, and some cancers. In addition, we also tested positive for other gene mutations (COMT, GSTM1 absent, GSTP1 and SOD2) that are known to further impair methylation and detoxification. COMT, chromosome 22.11q V158M, is a key enzyme in the deactivation of catechol compounds such as catecholamines, estrogens and various chemicals and toxins. It modulates the neurotransmitter functions of dopamine and epinephrine. Glutathione S-Transferase mu-1, or GSTM1 on Chromosome 1, is responsible for Phase ll detoxification of xenobiotics, carcinogens and products of oxidative stress. It is located primarily in the liver. Glutathione S-Transferase pi-1, or GSTP1, located on Chromosome 11 A114, is responsible for Phase ll detoxification of xenobiotics, carcinogens, steroids, heavy metals, and products of oxidative stress. Superoxide dismutase, or SOD2, is an antioxidant enzyme that converts reactive oxygen species into less reactive hydrogen peroxide, which is then neutralized by catalase and GSH-peroxidase. SOD2 is located within cellular mitochondria and uses manganese as a cofactor. These genetic glitches and the resulting impairment in methylation and detoxification underlie our MCS and lifelong drug and anesthesia intolerances. My older son was diagnosed with HEDS, scoring a 9/9 on the Beighton Scale, and has had chronic gastrointestinal issues and autonomic dysfunction since birth. As a child, his brother, my other son, also had frequent and significant episodes of flushing, swelling, and anaphylaxis that mysteriously up and resolved at puberty. All three of us presented with the same symptoms at birth and have or have had chronic blood disorders: anemia, neutropenia, leukopenia or “pre-leukemia”. Photos left to right: Hyperextensible skin, hypermobile/extensible joints and purple straie. In HEDS, symptom severity and level of disability, if any, often varies from patient to patient and from day to day. And so it is with my family. We are as alike as we are different. As documented by our medical records, certain environmental exposures exacerbate our medical conditions, HEDS included, to one extent or another. I suspect the different MTHFR polymorphisms, combinations of mutations and resulting level of methylation impairment and MTHFR enzyme deficiency all play a role in this variability. Indications for our DNA MTHFR polymorphism testing were family and individual medical histories, elevated blood folic acid and/or vitamin B12 levels; intracellular folic acid and other Vitamin B deficits, elevated urinary formiminoglutamic acid, intolerance to foods with high folate or folic acid content, intolerance to folic acid supplements, resolution or major improvement of symptoms upon restricting folic acid/folate intake. Folate is a water-soluble B vitamin that occurs naturally in food. Folic acid, the synthetic form of folate, is found in supplements and added to fortified foods. In order to be used by the body, they must first be activated or methylated. Dietary folate and folic acid are changed into the active form, 5-MTHF, via a multi-step process involving various co-factors, the last step being the conversion of 5-10-methlyenetetradyroflate to 5-MTHF by the enzyme MTHFR. In me, an HEDS patient who has compound heterozygosity for MTHFR variants C677T (+/-) and A1298C (+/-), excess folate appears to accumulate in the blood and interferes with normal metabolic function like in other disorders of metabolism. 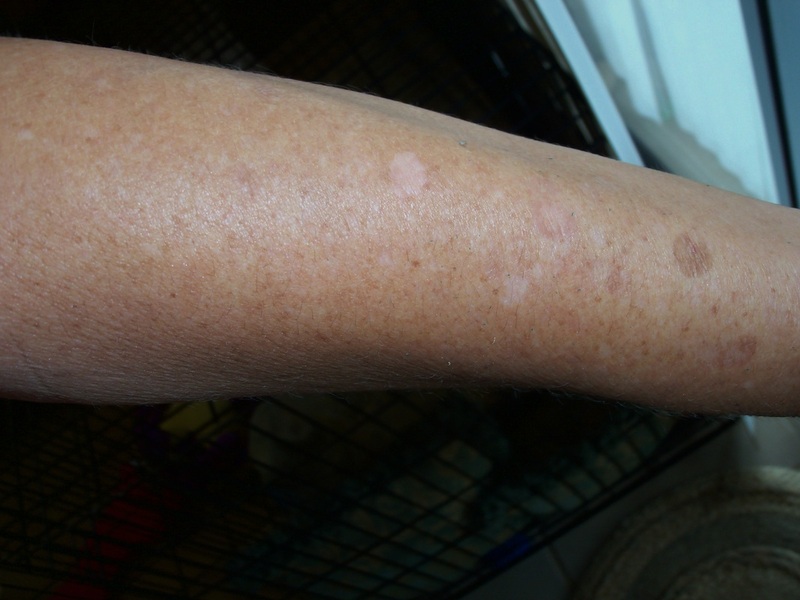 Symptoms include metabolic derangement, inflammation, visual disturbances, increased muscle tension, spasticity, muscle, bone and joint pain, nausea, dysmotility/constipation alternating with diarrhea, frequent and excessive urination, foul smelling urine and worsening of thermal regulation disturbances. The severity of these symptoms and the resulting disability fluctuate, depending on the level and duration of folate intake, and correlate with my folate levels, blood and intracellular. Interestingly, during this same time period, my intracellular levels of folate, B12 and B6 were severely deficient. Other intracellular deficiencies reported by the lab as either significant or severe include vitamins A, C, E and B-carotene, lipoic acid, glutathione, iron magnesium manganese, and molybendum. I imagine these deficiencies may be due in part to malabsorption as I have mastocytosis in my small intestine. The elevated blood folate levels and intracellular folate deficiency coexisted. It appears folate builds up in blood if and when intake exceeds availability of the MTHFR enzyme that is needed to convert it to 5-MTHF, the biologically active form that is useable by the body. 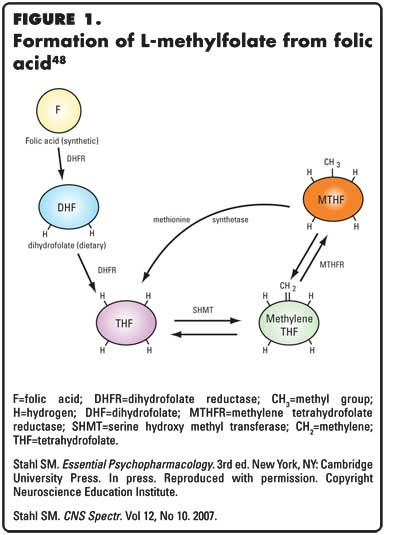 Reduced MTHFR activity limits the conversion and thus results in intracellular deficiency of folate, which has a number of health implications. After restricting folic acid intake, my blood folate level dropped to below normal range. In sync, my pain and disability dramatically improved despite the lingering intracellular deficiency. This suggests the symptoms that improved or resolved were related to accumulation of folate in the blood rather than the folate deficiency. My younger brother was born with multiple birth defects including Spina Bifida, cleft palate, polydactylyl and unspecified heart defects. I have had joint hypermobility and bi-lateral hip subluxation since early childhood (the latter has resolved). My first child was born seven (7) weeks premature due to pre-term rupture of the fetal membrane. He and my other son have hypermobile/extensible joints. One had stunted growth; the other a Marfany build. My mother had ptosis and prolapsed mitral valve. My maternal grandfather, an Irish immigrant, had movement disorders and early dementia. Many of the symptoms of EDS are characteristic of nutritional deficiencies. In this context, some symptoms of HEDS may be reversed by replenishing folate and other nutrients to normal levels. Such was the case with me. Upon repletion of those nutrients identified as deficient via intracellular testing, my HEDS symptoms improved dramatically. Upon complete elimination of the foods and other substances identified as problematic through elimination and reverse elimination diets, in combination with on-going dietary supplementation, many of the symptoms resolved but return upon re-exposure to offending substances, folate included. Adverse reactions, to seemingly benign or micro miniscule amounts, can take two to eight weeks per exposure to fully resolve. Again, the severity and extent of the resulting disability depends on the level and duration of exposure. In a report dated February 12, 2010, my treating chiropractor stated, “I could objectively correlate her level of muscle spasm, hypertonicity, joint mobility and range of motion with her described diet. Her function, pain and other subjective findings also improved once she went on a strict “no <problem food> diet.” Many of the foods I have become intolerant of naturally contain high levels of folate or are fortified with folic acid. In my experience, identifying folate intolerance is difficult and, for me, confirmation required a period of fasting followed by strict adherence to a reverse elimination diet. Low blood serotonin levels help define a sub-group of patients with mastocytosis that are more likely to present with neurological and gastrointestinal complaints. Human mast cells can express and be activated through multiple serotonin receptors, and synthesize and release serotonin. Low blood serotonin levels in such patients may be the result of low BH4 levels due to 5-MTHF deficiency, the result of long-term malabsorption from chronic inflammation of the gastrointestinal tract or both, as is the case with me. 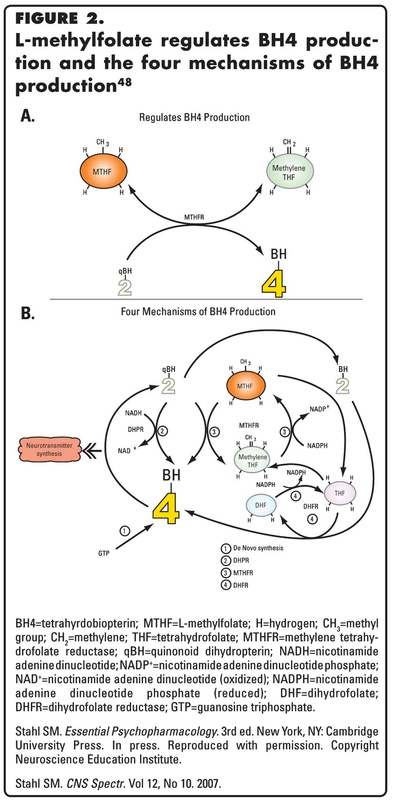 BH4 is a critical factor in cellular activities such as cell proliferation, cell cycle regulation and differentiation. Could BH4 deficiency secondary to MTHFR polymorphism be one of the fundamental mechanisms that underlie mast cell proliferation? Alkylglycerol monooxygenase (AGMO) for the conversion of 1-alkyl-sn-glycerol to 1-hydroxyalkyl-sn-glycerol. BH4 converts amino acids such as phenylalanine, tyrosine, and tryptophan to precursors of dopamine and serotonin, the body's primary neurotransmitters. Due to its role in the conversion of L-tyrosine in to L-dopa, which is the precursor for dopamine, a deficiency in tetrahydrobiopterin can cause serious neurological issues including dopa-responsive dystonia (DRD). A mutation in the gene GCH1, which encodes the enzyme GTP cyclohydrolase I, disrupts the production of BH4, decreasing dopamine levels . This results in autosomal-dominant DRD. Mutations in the GCH1 and several other genes (PCBD1, PTS and QDR) directly cause BH4 deficiency. Additionally, the A1298C variant of the MTHFR gene and the enzyme dihydrofolate reductase (DHFR), which converts dihydrofolate into tetrahydrofolate, can interfere with the recycling of BH4 and lead to less severe, but still clinically significant, deficiencies of BH4. BH4 deficiency is the cause of DRD. DRD is typically characterized by signs of Parkinsonism that may be relatively subtle. Such signs may include slowness of movement (bradykinesia), tremors, stiffness and resistance to movement (rigidity), balance difficulties, and postural instability. disorders, history of seizures and behavioral problems, difficulty swallowing, autonomic dysfunction including thermoregulation disturbances and mastocytosis. It is my hope that sharing this information will advance understanding of HEDS and its etiology, lead to the availability of more effective treatment options and to identification of biomarkers that can help identify those patients who are likely to benefit from treatment and, perhaps most importantly, that it may inspire others to step up to the plate and help themselves. Recovery is possible. 1. H. Zhang1, B.F. Griswold1, L. Sloper1, M. Lavallee3, C.A. Francomano2, N.B. McDonnell2, A. Gustafson1. High prevalence of Food Allergies in Patients with Ehlers-Danlos Syndromes. 1) LCI, NIA/NIH, Baltimore, MD; 2) GBMC, Baltimore, MD; 3) IUSM, South Bend, IN. Dios Hospital, Rheumatology Dept., Professor of Medicine. University of Chile Medical School, Santiago, Chile, Microsoft Power Point presentation, 97-2003. 4. Bravo, J. Reasons why I think that the lack of Folic Acid during the periconceptional period is an etiological factor for the Joint Hypermobility Syndrome. San Juan de Dios Hospital, Rheumatology Dept. Professor of Medicine. University of Chile Medical School. Santiago, Chile. December 2004, Updated September 2006. 5. Woeller, K, A. Yasko, Genetic Analysis Report. Temecula, CA. 8. Graham, K.D., E. Gumpricht, C.C. Reddy, Mechanism of interaction of vitamin E and glutathione in the protection against membrane lipid peroxidation. Ann NY Acad Sci 1989:570:514-7. Hughes RE. Reduction of dehydroascorbic acid by animal tissues.Nature 1964:203:1068-9. Goldsbrough, PB; Cobbett, CS (1999). "Phytochelatin synthase genes from Arabidopsis and the yeast Schizosaccharomyces pombe". The Plant cell 11 (6): 1153–64. doi:10.1105/tpc.11.6.1153. JSTOR 3870806. 13. Figueiredo, JC; Grau, MV; Haile, RW; Sandler, RS; Summers, RW; Bresalier, RS; Burke, CA; McKeown-Eyssen, GE et al. (2009). "Folic Acid and Risk of Prostate Cancer: Results From a Randomized Clinical Trial". Journal of the National Cancer Institute 101 (6): 432–5. doi:10.1093/jnci/djp019. PMC 2657096. PMID 19276452. Ostra, Sahlgrenska University Hospital, Goteborg University, Goteborg, Sweden. Cytogenetic studies in patients with mastocytosis. Cancer Genet Cytogenet 2000 Jul 15;120(2):131-5 Abstract quote. 15. Diaz, M.L., J. Lajous, L.F. Montes. Folic acid and vitamin B12 in vitiligo: a nutritional approach. Cutis 1992;50:39-42 1992. 16. Clegg, J.B.,Y-T Liu, D.C. Rees, J.A. Schnedier,. Worldwide Distribution o a Common Methlenetegrahydrofolate Reductase Mutation. Am J. Hum. Genet. 1998, 62:1258-60. 17. Arizona Telemedicine Program, Folic Acid Deficiency. Antidepressant-Augmenting Agent. CNS Spectr. 2007;12(10):739-744. 21. Brittain, E., N.M. Kushnir-Sukhov, D.D. Metcalfe, L. Scott. Clinical correlates of blood serotonin levels in patients with mastocytosis. Eur J Clin Invest. 2008 Dec;38(12):953-8. Laboratory of Allergic Diseases, National Institute of Allergy and Infectious Diseases, National Institutes of Health, Bethesda, Maryland 20892-1881, USA. 23. Blau N TB, G. Cotton, H. K. Hyland. Disorders of Terahydrobiopterinand Related Biogenic Amenes. 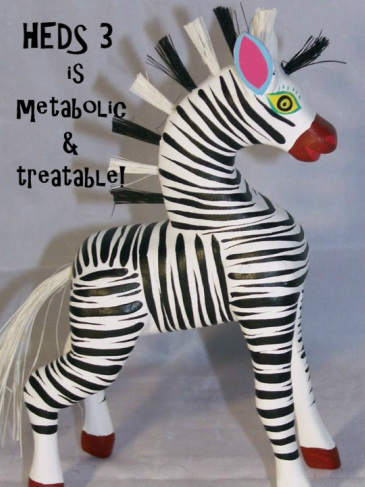 :Online Metabolic and Molecular Basis of Inherited Disease. ; 2005. 25. University of Utah School of Medicine, Department of Neurology, Pediatric Motor Disorders Research Program, Autosomal Dominant Dopa-responsive Dystonia (Segawa's Syndrome). 26. ClincalTrials.gov, Nitric Oxide and the Autonomic Nervous System. Updated 2010 April 9. 28. Glover, J., M.S. Medow, J.M. Stewart, I. Taneja. Angiotensin II type 1 receptor blockade corrects cutaneous nitric oxide deficit in postural tachycardia syndrome. 2008 Jan;294(1):H466-73. Epub 2007 Nov 9. The Center for Pediatric Hypotension, New York Medical College, 19 Bradhurst Avenue, Hawthorne, NY 10532, USA. stewart@nymc.edu.